Mass of Resurrection will be 10:00 AM, Friday, June 8, 2018 at All Saints Catholic Church, 19795 Holyoke Ave, Lakeville with visitation 1 hour prior. 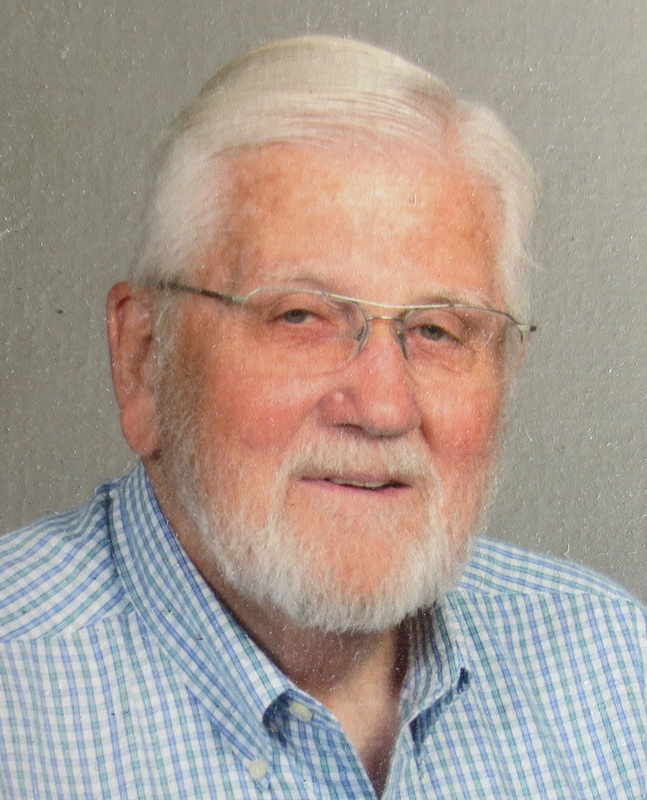 Age 87 of Lakeville, MN, formerly of Wausau and Cedarburg WI, and Edina, MN, passed away June 3, 2018 after a long battle with prostate cancer. He was born May 13, 1931 in Montreal, Canada to George D. and Esther (nee Swanson). George is survived by his children: Michael (Kim Marie), Debra (Rick) Stickley, Mark (Kim Rae), David, Dan (Marypat), and Martha (Scott) Shaw; 15 grandchildren and 15 great-grandchildren. He was preceded in death by his high school sweetheart and love of his life, wife, Sue in 2011; his beloved daughter, Mary in 2012; his parents; brother, John and sisters, Jane, Lila and twin sister, Georgine SJC. On September 26, 1992 he was ordained a Deacon in the Catholic Church and served at Mary Mother of the Church, Burnsville and at All Saints Church, Lakeville. He was Facilities Administrator of All Saints Church and School until his recent retirement. Beginning in 1994 George began what would become the most fulfilling years of his life when he joined Habitat for Humanity and then in 1995 the Good News Project out of Wausau, WI providing ministry, leadership and community outreach to the people of St. Andrews Parish on the island of Dominica in the West Indies. He made 21 trips with this group building 84 homes for the homeless along with his wife, Sue and several of his parishioners from All Saints. When a devastating earthquake destroyed St. Andrews church on this small island, George led a fundraising campaign through All Saints Catholic Church raising nearly half of the funds necessary to rebuild the church. George was always amazed at the sheer goodness he saw in the people who supported his local community and the community of St. Andrews on Dominica through volunteering and selflessness of themselves. As he reminds us all, this is what Jesus asks of us, “…to love one another as I have loved you”. This is how George led his life and these were his most enriched and proudest years. George served honorably during the Korean War in the United States Marine Corps. He also served many leadership positions with the Rotary Club of Burnsville. Visitation, 4-7PM with a rosary at 6:30 PM, Thursday, June7 at Henry W Anderson Mortuary, 14850 Garrett Ave., Apple Valley. Mass of Resurrection will be 10:00 AM, Friday, June 8, 2018 at All Saints Catholic Church, 19795 Holyoke Ave, Lakeville with visitation 1 hour prior. In lieu of flowers, the family requests donations be given to Good News Project, Inc., 1106 Fifth Street, Wausau, WI 54403. The family sends a very special thank you to hospice providers at Our Lady of Peace.